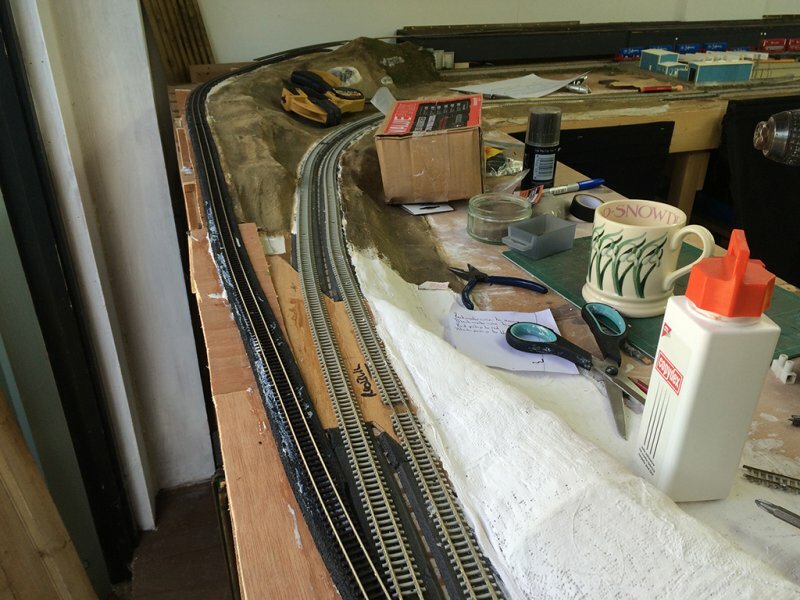 A productive weekend – I’ve finished the benchwork for the new locomotive facility, so I can start with the track laying – well, at least I can after I have done the trackplan! 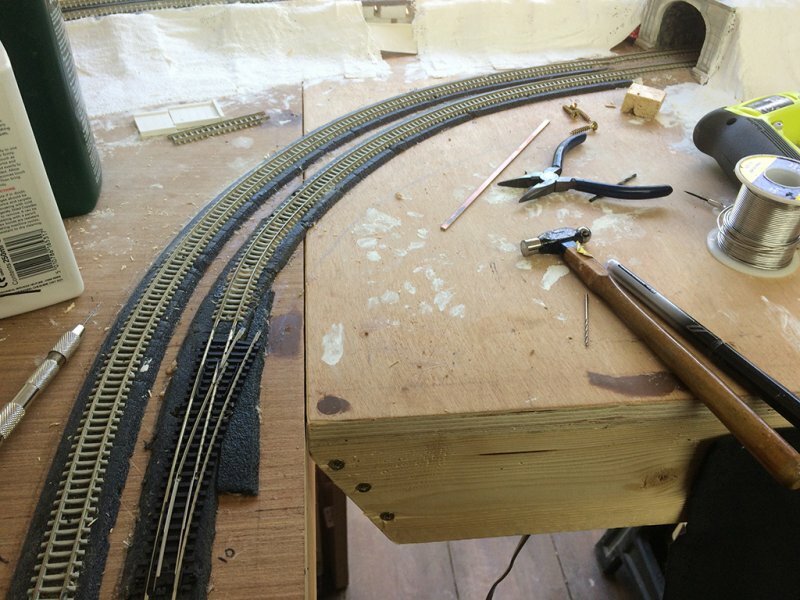 I have also laid the track for the yard lead, and connected it to the mainline. Now just to connect it to the yard at the other end. 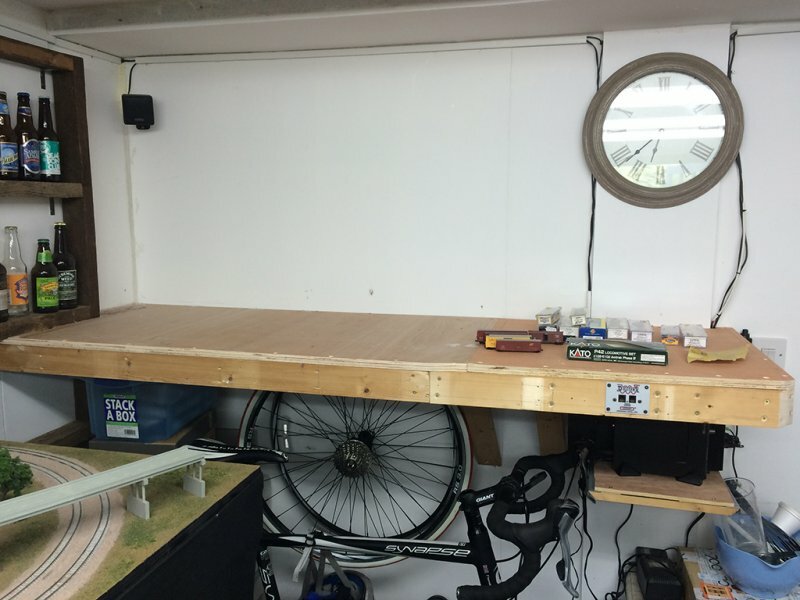 I’m just waiting for a new DAC20, then I can get the yard finished (the upgraded DAC10 was giving problems) and connected to the yard lead. Then I can finally start unpacking all those rolling stock boxes! I’m still finding rolling stock I’d forgotten about…!